Tualatin, Tigard, Sandy, Woodburn, Longview, Camas, and Vancouver area register now. By Submitting, signing or affixing name to this form or by participating or agreeing to participate in any league event all players, coaches and managers agree to abide by all league rules and conditions, all rulings, decrees, and determination of the league Director, and all league policies regarding personal conduct in relation to all league events. Any violation of league rules, conditions, or policies may be subject to fine, suspension or expulsion to be imposed at the discretion of the league Director. See nwibl.org/rules. I understand to be eligible to play in the end of season playoffs I must have paid my team player fee (see below), and have played in 25% of league games that my team plays, my playing and not playing 25% would lead to a team disqualification. The management of NWIBL will have no tolerance for behavior which casts the team, league and baseball in an unfavorable light. The consequences will be: My tenure as a member of NWIBL will come to an immediate end. I agree to abide by the League Code of Conduct and all league rules. I acknowledge and promise to pay my team player fees by the start of regular season (see below). That there are no refunds once the season has started and I will play on my assigned team. By Submitting this you agree to all of the above terms. THE UNDERSIGNED (“Participant”) is over the age of 18 and wishes to participate in Northwest Independent Baseball League, a non-professional adult baseball league. 1. Baseball is a dangerous sport and the risk of injury from the activities involved in this program is significant, including the potential for permanent paralysis and death, and while particular rules, equipment, and personal discipline may reduce this risk, the risk of serious injury does exist. 2. I KNOWINGLY, VOLUNTARILY AND INTELLIGENTLY ASSUME ALL SUCH RISKS, both known and unknown, EVEN IF ARISING FROM THE NEGLIGENCE OF THE RELEASEES or others and assume full responsibility for my participation. 3. I willingly agree to comply with the stated and customary terms and conditions for participation. If however I observe any unusual significant hazard during my presence or participation, I will remove myself from participation and bring such to the attention of the nearest official immediately. 4. I, for myself and on behalf of my heirs, assigns, personal representatives and next of kin, HEREBY RELEASE AND HOLD HARMLESS Northwest Independent Baseball League, their officers, Managers, Coaches, officials, agents and/or employees, other participants sponsoring agencies, sponsors, advertisers, and, if applicable, owners and leasers of premises used to conduct the event (“Releases”), WITH RESPECT TO ANY AND ALL INJURY, DISABILITY, DEATH, or loss or damage to person or property, WHETHER ARISING FROM THE NEGLIGENCE OF RELEASEES OR OTHERWISE. 5. I HAVE READ THIS RELEASE OF LIABILITY AND ASSUMPTION OF RISK AGREEMENT, FULLY UNDERSTOOD ITS TERMS, UNDERSTAND THAT I HAVE VOLUNTARILY GIVEN UP SUBSTANTIAL RIGHTS BY SIGNING IT, AND SIGN IT FREELY AND VOLUNTARILY WITHOUT ANY INDUCEMENT. 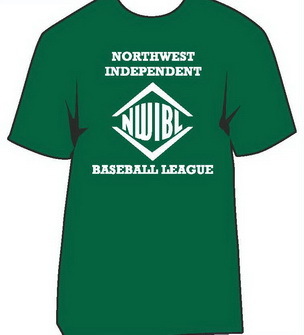 NWIBL Adult baseball represents those things which are great about the sport of baseball and amateur athletics. I am an ambassador for my community, for baseball, this league, for amateur athletics, for my team and for myself. The behavior of any single player (or group of players) can have an impact upon the team and its reputation in the community. It’s young people, and within the baseball community. I have an obligation to conduct myself on and off the field in ways which bring honor and distinction to myself, my teammates, this team, this league, all of baseball and this community. I agree not to possess or consume any Alcoholic Beverages, Marijuana, Prescription Narcotics, and illegal drugs of any kind while on the property of any of the facilities utilized by NWIBL. This includes the playing field, dugouts, spectator areas, bathrooms, parking lot or other areas of the facilities. Violations will result in suspensions or expulsion from the league. I understand that fighting, the physical abuse of players, umpires, or spectators and the use of abusive language will not be tolerated and will result in forfeits, fines, suspensions or expulsion from the league. My actions on and off the field will be positive and I will strive to be a model citizen, to help create a positive perception of the NWIBL, myself, my team and baseball. I pledge to do everything I can, on and off the field, to help create a positive perception of myself, my team and NWIBL adult baseball league. My tenure as a member of NWIBL will come to an immediate end. Other teams and leagues will be notified that I have been dropped from the league roster and why. NWIBL is not responsible for lost, stolen property, broken car windows, broken bats, or any acts of vandalism. Thank you for filling out our registration and abiding by the above necessary information. By Submitting this you agree to all of these terms. Check out the PayPal 6 months terms for team fee payment plan. 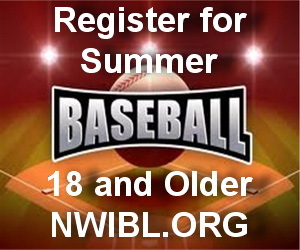 Please submit (Bottom of form) the NWIBL Online Registration Form below when completed. Call 503 208 2009 to pay with Check, Cash, Debit/Credit Card or use PayPal Payments below. Also there is a PayPal Link to make team fee payment arrangements for up to 6 months. Feb. Try Outs cost $10 SAVE $10 and Pay your team fee or deposit. Players who fail to make team Payment will be disqualified by league office until fee is Paid in Full. You do not need a PayPal account, you can make your Team/League Payment Here. Season Starts May 2016 Minimum 20 League Games plus double elimination playoff series with the Play Offs ending end of August. Are you are a former or current player who has what it takes to compete, get your glove and come join us. We are gearing up for this season! High School, College Players, and EX-Pros stay with your game. Teams need for Catchers and Pitchers. All competitive baseball players welcome! Are you are a former or current player who has what it takes to compete, get your glove and come join us. We are gearing up for this season! High School and College Players, EX-Pros, Catchers, RH / LH Pitchers, and Hitters welcome! We play Baseball the Wood Bat Way! ***100% refund if you do not make a team on tryout day or fail to be assigned to a team. Baseball Play Book Ron Polk breaks the game of baseball down not only position by position, but all aspects of the game off the field. A veteran college coach and one of the most respected men in the game, Polk gives excellent tips for coaches of all levels, from the first day of practice to the final game of the postseason tournament. The former Mississippi State coach is still a popular speaker on the clinic tour and after reading the book, one will understand why. Not only does Polk discuss teaching fundamentals and game strategies, but also gives excellent ideas and points on the "behind-the-scenes" aspects of the game - everything from organizing tournaments and field maintenance to dealing with the local officiating associations, fans, and bringing in support staff to help run a smooth program. Polk even includes ready-to-copy charts and forms for player information, public address announcers, game schedules, equipment managing, and setting up and enforcing team policies. If you're looking for big-names and shiny pictures, forget it - this book is for serious coaches....and Polk doesn't leave any aspect of coaching in an organized baseball league uncovered.